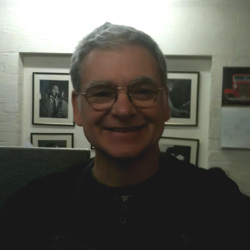 Ray is modest but he is a world class saxophone technician ~ this stems from over 3 decades of experience and coupled with the vital fact that he is a very good saxophonist himself. Imagine a car mechanic who can't drive? ?How does he know if the machine is running right?? 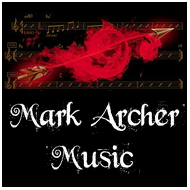 Always approachable and fair he works to exacting standards and over the past 15 years in association with Blowout Sax he has worked with instruments of all types producing top quality service to all musicians from beginner to professional. 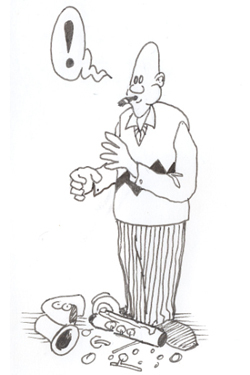 Equally being the most honest of individuals if you pop in with a minor tweak or repair he will do it on the spot at minimal charge. He is an excellent man. 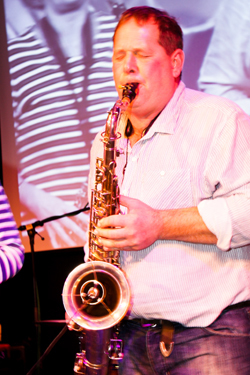 Vintage saxs too worthy of renovation and restoration in the hands of an expert repairer like Ray. Then the other beautiful lady in my life (my wife) and I started a family and at the same time we moved near Bath unfortunately my lovely horn got put in its case away from curious little fingers. Out of sight and out of mind she was neglected, left in her case with only her memories. We would have our odd elicit moments but they would get fewer and far between and she did not seem to want to sing for me like she used to. Ten years had past and the curious little fingers had got bigger and bedtimes had got later so it was our time again I approached her tentatively at first thinking she was not going to forgive me that easily and she did not, it was clear she was going to have to have some work done before we got reacquainted. Quotes from local music shops were astronomical and I felt that our relationship was going to end on a sad note. Where was I going to find someone who would understand my horn and all her little idiosyncrasies? 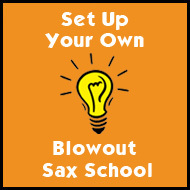 I was going to organise some lessons so I contacted Mark Archer (Mr A) at Blowout Sax also asking him if he knew where I could get my horn rejuvenated. He gave me the number of Ray Colomb an instrument repairer in Corsham so off we went. Once we had found Ray I explained the situation to him and I knew as soon as he picked her up this was a man who knew what he was doing. To start off with he could play her and within minutes he had worked out exactly what needed doing to bring her back to her former glory. He quoted me a sensible price to give her an overhaul and sought out her little problems. I was to pick her up in a week but I knew she was in safe hands. We were reunited a week later and the transformation was unbelievable better than the day we first met back in Leeds the spark had been rekindled. 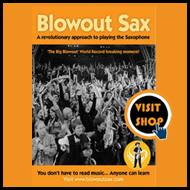 So it was off to Blowout Sax for my first lesson and to meet Mr A to thank him for putting me in touch with Ray. The first lesson and every lesson since have been like a breath of fresh air, we swapped horns one day only for five minutes and we both promised not to get attached. it was a pleasure but it felt wrong. That first lesson was less than a year ago and since then me and my Conn have been inseparable there is hardly a day goes by when we don’t meet and sing together, now her past seems less of a worry to me because now I am the one writing her history we are living the dream, this year we have played at two live gigs and written our own song and jammed the nights away. She had a small breakdown one evening but it was straight down to see Ray who did a fantastic job of repairing her. For me the beauty of owning an old horn is the feeling of a fusion of two souls both on separate journeys but at that moment inextricably linked. From the day it came out of the ground and was crafted into a beautiful living musical instrument she was destined to end up in my hands. I don’t know where or when the journey will end but I do know that with people like Ray and Mr A around my sweet Conn - who is coming up to 100 years old- and others like it will be around for a lot longer to give pleasure to many. Ray and Mr A are the two men I can trust to look after the soul of my sweet silver Conn.